Nestling on the hillside of the spectacular Roaches is Paddock Farm, home of the Roaches Holiday Cottages and the Roaches Tea Rooms. 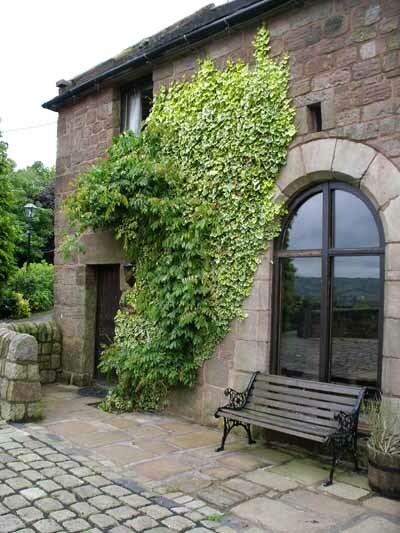 Paddock Farm is situated at 300 metres above sea level and has breathtaking views stretching over the valley, Tittesworth reservoir and as far as the Wrekin, Shropshire and the Welsh mountains. 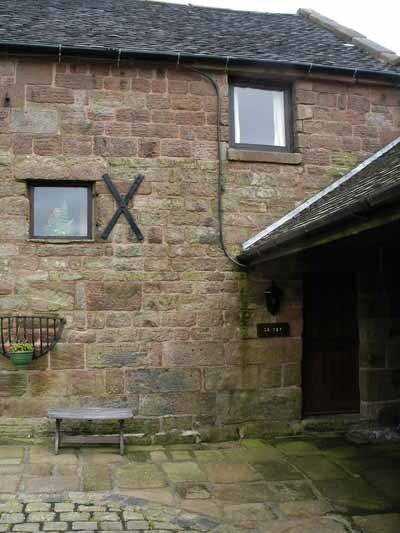 Located on the South-Western edge of the Peak District National Park, the Roaches Holiday Cottages are two cosy farmhouse cottages with open-plan farmhouse living, featuring stone walls and original beams. Each cottage sleeps up to six people and are equipped for self catering. Bed linen, water and heating are included in the tariffs. 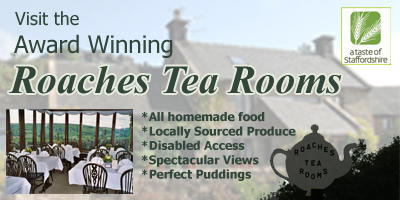 Across the courtyard, the award winning Roaches Tea Rooms, serves a wide range of Teas, Coffee, Homemade Cakes and scones, various Breakfasts, Light bites, Sunday Lunches, Weekday Lunches (including Staffordshire Oatcakes), freshly Home-cooked Daily Specials and much, much more! So if you don't feel like cooking yourself let us do the work for you! We are now open on Thursday, Friday and Saturday evenings for a delicious A la Carte Menu. Just ask for details! We are also licensed to sell alcohol so you may enjoy a glass of wine or beer in the Tea Rooms or in your cottage.